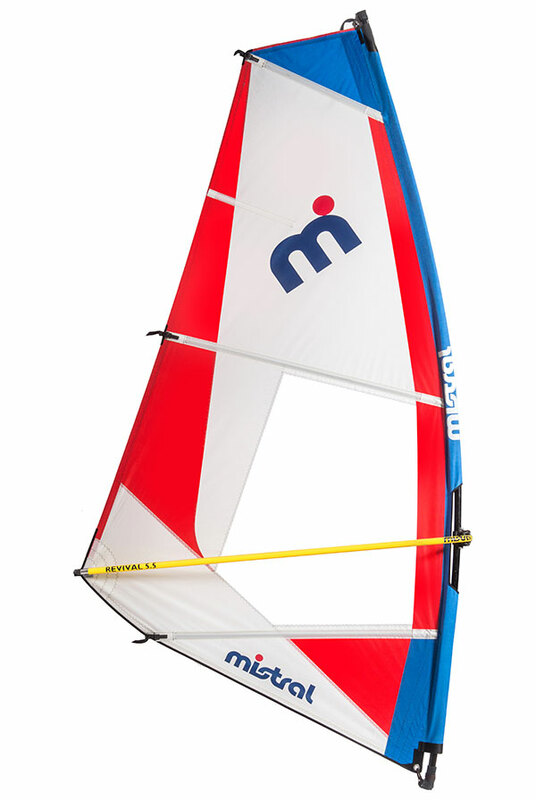 Our Revival sails are designed to ensure your first windsurfing experience and for those attending formalised lessons, area fun, easy and as low impact as possible. Created to be light weight you find the ease of handling and smooth power delivery ideal for sail beginners of all ages and an ideal WindSUP® rig with our Santa Anna, Fiji or Levu boards. Constructed in a dacron and monofilm construction, the Mistral Revival sails are highly durable and well suited to the demands as required at windsurfing schools and centres, or for family or first time general recreational use. The entire rig construction and its components are designed for ease of use and durability and are sold as a package for compatibility and best practice.